SEO is incredibly important for businesses wanting to get noticed online – and really, who doesn’t want that? In fact, search engine optimization is so important that it’s impossible to gain visibility and build traction online without it. There are millions of businesses competing for attention in the digital landscape, and SEO is the tool that places you in a position to be seen. You probably already know this, especially if you’ve trying your own hand at digital marketing. The concept of SEO seems straightforward, but the mechanics of actually putting it into action are more complex. Take a simple blog post for example. It seems easy enough to stuff some keywords into a blog post, tack on an engaging title, and publish it. Yet, so much content is floating around the internet that never gets a second glance. This is a fairly common problem for businesses, and the solution is all about learning what modern SEO really looks like and how to perfectly optimize every blog post, every time. Ready to break through your current barriers and create content that performs for search engine marketing? Here’s what you need to know about creating SEO infused content in today’s competitive digital landscape. Keywords are an important component of SEO infused content, but you need a smart, strategic approach to using them if you really want to see results. It isn’t enough to pick a couple keywords with massive search volume, plug them in all over the place, and hope for the best. Your audience and Google are both expecting more from you. Today’s keyword strategy requires a different approach than what you may have been using a few years ago. The first difference centers on the increase in the number of customers who are reaching out to you through their mobile devices. It’s estimated that more than half of all internet traffic in the world is coming through mobile devices, and that the current rate represents a number that’s 50% higher than the year before. Let that sink in for a minute and you’ll realize that there’s huge potential in appealing to the mobile consumer. From a keyword perspective, this means optimizing your content with words and phrases that are key to attracting mobile traffic – like local, long tail keywords that are more representative of the natural language patterns used during voice search. Secondly, it’s super important to do keyword research and pay attention to competition and search volume while also taking advantage of related keywords. For example, choosing one or two main keywords with relatively low competition is a good start. But instead of oversaturating your content with a couple words, using related keywords looks better to search engines, increases the readability of your content and will likely come across as more authentic and valuable to the person reading it. 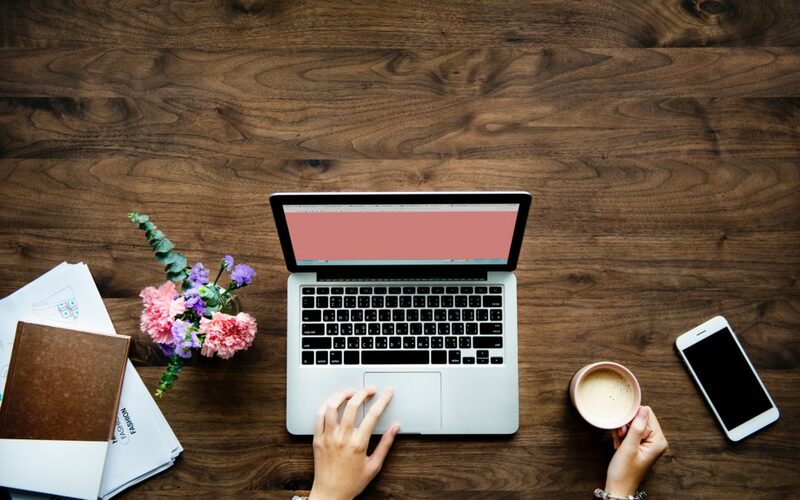 When you’re creating your next blog post, keep in mind that you should be writing for your audience and not the search engine that they’re using to find you. It sounds counterintuitive, but the truth is that the most valuable prospects in your audience aren’t going to be interested in content that reads like it was created for a robot. The modern consumer wants value, transparency and authenticity – three things that are difficult to achieve when you’re completely focused on SEO. We’re also at a point where search engines have become sophisticated enough that they can pick up on more subtleties in your content. Meaning that they’re now better able to pick up on intent and relevancy, so you don’t always have to spell it out for them using awkward wording and keyword phases. Instead focus on what’s really important, like providing value to the reader. Search engines want happy users, so the relevant, value-filled content that you put out there is going to earn you bonus points in the eyes of Google. Another way to appeal to both your readers and search engines is by making the move to longer form blog posts, often hitting 1,000 words or more. There’s been some back and forth about what length is best but look at it this way. It’s incredibly difficult to compose a blog that’s worth someone’s time in 300-500 words. Not only is that not enough to get a powerful message across, it also really limits the opportunities to infuse it with SEO. Longer is better, just make sure to break your content up into small, easily digestible paragraphs. Attention spans are short, and you don’t want anything that’s going to be difficult to read on mobile devices. Internal links are an important, and often overlooked, strategy for SEM. Many blog creators put most of their focus into earning backlinks, while also important, can be difficult and time consuming. Linking internally helps you build authority for yourself on certain subjects and looks favorably from an SEO perspective. This works especially well if you’ve already written a post on the same, or a similar, subject. You get the benefit of showing your authority to the reader and possibly encouraging them to visit your other posts and web pages, which is great for SEO. Additionally, you’re giving your content validity with search engines – not to mention that you’re providing the pages and content you linked to with an SEO boost as well. Many businesses go about producing blogs by picking a few keywords and topics that are important for their industry and then creating a mess of content that might work from a keyword perspective but doesn’t do much for overall reach or audience interest. A more structured approach is almost always better. For example, consider “clustering” your blog posts. Pick several topics that you feel are important to your audience, then create multiple related topics under each of those to create blog categories. The goal is to use similar keywords throughout each category and to link other blogs under the same category within each piece of content. This makes it easier for your audience to find the type of content they’re really looking for, establishes your authority in each individual niche and appeals to search engines on multiple levels. This is a strategy that also works especially well with local SEO. Would you like to know more about how to hit the target every time with your blog posts? We’re here to help create a content marketing strategy that produces amazing results for your business. Contact J2O Designs to learn more about our SEO services today.